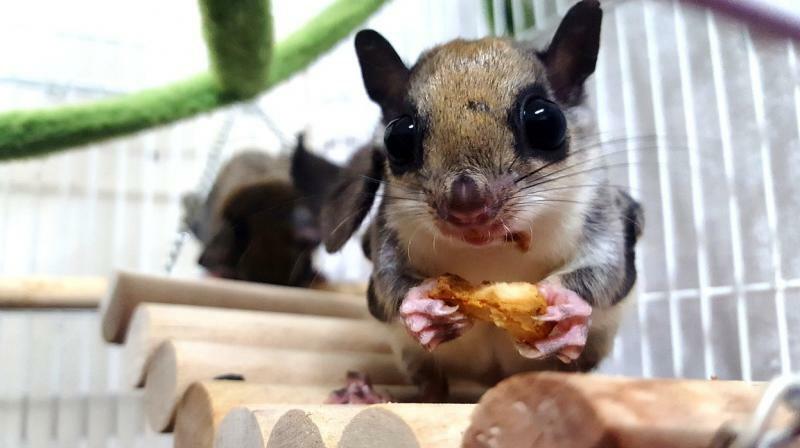 Scientists discover flying squirrels that turn hot-pink under ultraviolet light. Wisconsin (US): Squirrels are cute, and it turns out that one flying type of squirrel also turns pink. A new study reveals that scientists have discovered that the North American flying squirrel or Glaucomys turn pink at night. A flying squirrel was then spotted, which glowed hot pink under the ultraviolet light. This led to further research leading to the discovery of all North American flying squirrel species that fluoresced. It is unclear as to why these flying squirrels fluoresce, but researchers attribute it to the survival instinct. The bright night flashes may be to alert other squirrels as they glide through trees.